As voted for by Seanchai fans, followers and listeners. This week: The Adventure of the Dying Detective, from His Last Bow. A 1917 anthology of previously published Sherlock Holmes stories by Sir Arthur Conan Doyle, His Last Bow originally comprised seven stories published byThe Strand Magazine between 1908 and 1917, but an eighth was added to later editions. The Adventure of the Dying Detective is the fifth story in the collection. Sherlock Holmes is dying. That is the shocking discovery Doctor John Watson makes on being called to 221B Baker Street. The Great Detective has apparently contracted a contagious and rare Asian disease while on a case in Rotherhithe. Mrs. Watson confirms Holmes has not eaten or taken a drink in three days. Wanting to assist his friend, Watson finds himself forced to wait – the contagious nature of Homes’ illness preventing him from carrying out an examination – until six o’clock that evening, when Holmes reveals the name of the one man who can save him, one Culverton Smith. Unfortunately, Smith may not be predisposed to lending assistance, as he is not a doctor, but a man Holmes once implicated in a murder. Find out more by joining Da5id Abbot, Corwyn Allen, Savanah Blindside, and Kayden Oconnell! Have you heard? Willie Wonka is releasing five golden tickets in candy bars! Charlie Bucket may have a chance to find one as Caledonia Skytower presents Roald Dahl’s classic, live on stream! 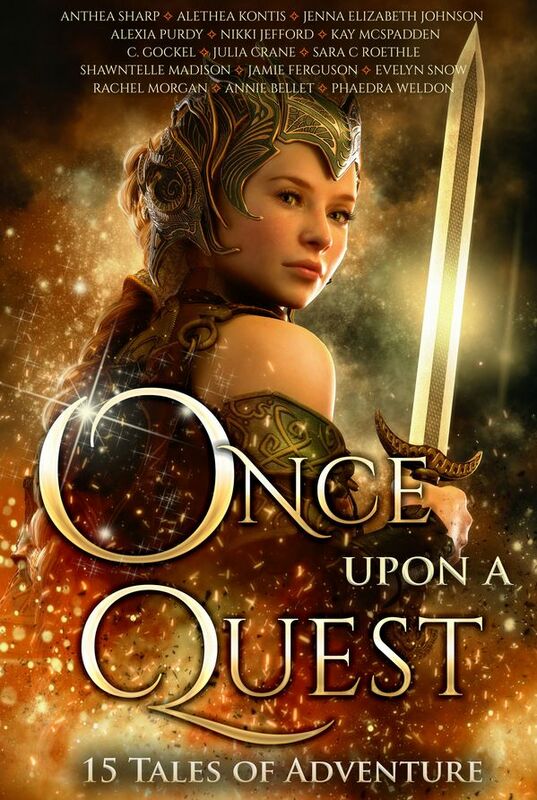 Published in February 2018, Once Upon A Quest is an anthology of 15 fairytales with a twist, their inspiration ranging from The Ugly Duckling to Snow White, and everything in between (including trips to Camelot and Oz). Here, Shandon Loring reads Fear of Falling by Shawntelle Madison. The sunset-tinged earth was coming at me, and there was nothing I could do, but I refused to die head-first. I twisted my torso in time. First, my right leg hit a narrow cliff. Crunch. Pain seized my right limb and snatched my breath. Clouded my vision in red. Rocks, snow, and branches plummeted past me. I was falling faster and faster. I reached out with my claws—only finding the open air—even my smaller, gold-tipped wings, which should have captured the air and lifted me toward the eternal heavens, did nothing. Up here, the air was frigid and thin—only a griffin with strong wings could take flight. The end was coming before I’d experienced a beginning. Short stories presented by Caledonia Skytower.